LUXURY MAIN LEVEL LIVING in Hardin Valley, Full of Natural Light and Custom Features! 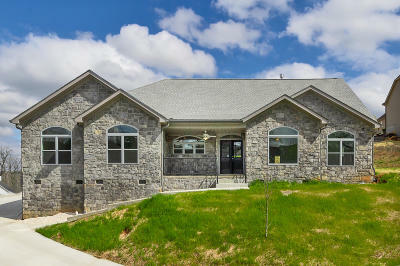 This is an Awesome ALL STONE Exterior Rancher, that sits High and Proud on a Large lot. Enjoy the many Custom touches this Home has to offer from Custom Arched Windows to Hardwood Flooring throughout. Nice Flowing Open Floor Plan, All Bedrooms have it's own Bathrooms. Dream Kitchen with Huge Island, SS Appliances, Granite tops and plenty of Counter Space. Specious Master with Trey Ceiling and Huge Closet. Adjoining Room to Master, Perfect for Nursery, Office or Reading. You will Love the Finishes and Paint Colors, It is Truly a place to Make it Home. If you are Looking for Style, Elegance and Sophistication, this Home has it All!